Polk County High School principal Mary Feagan plans to retire at the end of October. Polk County Schools announced Tuesday that Polk County High School principal Mary Feagan has decided to retire effective October 28. With Feagan’s planned retirement, the Polk County Board of Education approved Monday night at its regular monthly meeting the selection of Brandon Schweitzer as the next principal at Polk County High School and the choice of Michelle Travieso as an assistant principal. Schweitzer will become the 10th principal in Polk County High School’s history. 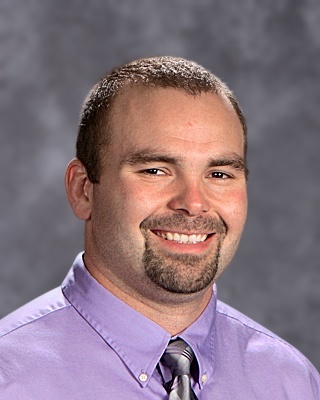 He has been at PCHS since 2007, joining the faculty first as a social studies teacher before moving into administration in 2011 as an assistant principal. “I could not be more grateful to the Board of Education and Superintendent Aaron Greene for this opportunity to serve a community, district and school that I have come to know and love,” Schweizter said. “Polk County High School has had a long history of successful and influential leadership. Mrs. Feagan has been no different as she has helped grow our school to be one of the most respected and academically successful high schools in the state. Following in her footsteps will not be an easy task. A two-sport All-American in high school, Schweitzer attended the University of South Carolina on a football scholarship before transferring to Gardner-Webb, from which he graduated in 2007. He earned his master’s degree in administration from Western Carolina in 2013. “Mr. Schweitzer has been a successful teacher and administrator in Polk for many years now,” said Polk County Schools Superintendent Aaron Greene. “He has evidenced a strong commitment to our students and possesses the attributes necessary to be successful at the principal level. Feagan will retire after a career of more than 15 years with Polk County Schools. She has served as Polk County High’s principal since August 2011, the second-longest tenure of any principal in the school’s history, after spending eight years at the school as an assistant principal. During her tenure, Polk County High has been ranked in the top 10 percent of the nation’s public high schools by U.S. News & World Report and continually ranked among the top high schools in North Carolina in various lists. Travieso joins the PCHS administration after teaching in the school’s English department the past two years. She taught in Charlotte-Mecklenburg Schools for 13 years prior to moving to Polk County. Travieso graduated from the University of Kentucky with a B.A. in English Language and Literature/Letters and earned her master’s of education in literacy from Queens University of Charlotte in 2013.